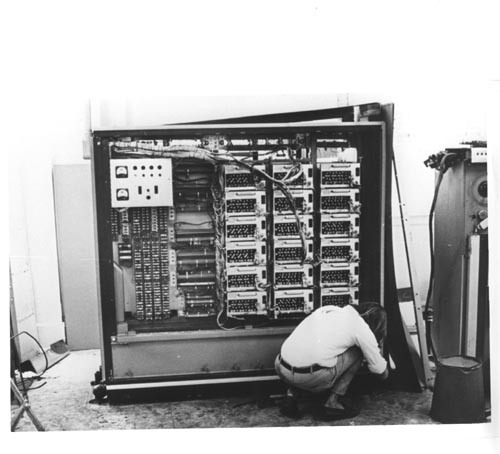 Black and white image of a man kneeling in front of a UNIVAC II frame. The covers have been removed. Next to it is a tape drive. On the top edge in red " Tearing Down"